Our grandparents used to spend their weekends canning veggies from their garden, smoking meat (often from game they caught themselves), and making real pickles. Today, we have mostly lost this knowledge. 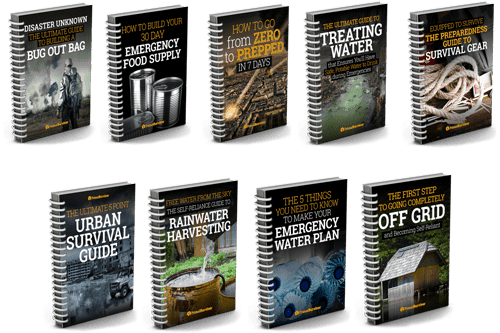 You want to stockpile emergency food for disaster preparedness. You are homesteading and want to keep your surplus. You want food without additives and preservatives. You can buy food in bulk when it is cheap in order to save money. Or simply because of the great personal satisfaction which comes with learning old skills and becoming more self-sufficient. 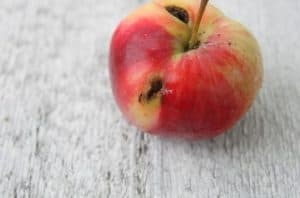 With so many different methods and techniques, food preservation can seem a bit overwhelming at first. This guide is meant to help you get started with DIY food preservation so you can choose the right methods for your goals. 1 What Causes Food to Spoil? 15.1 How Much Food Per Bag? What Causes Food to Spoil? Before you can learn about food preservation methods, you have to understand why food spoils in the first place. Micro-organisms refers to all of the bacteria, yeast, and molds which can grow on food. As these feed off of the food, they produce waste products. These wastes are what give spoiled food its bad smell. In order for most micro-organisms to survive, they need oxygen and water. Many food preservation methods work by limiting oxygen (such as vacuum packing) and water (such as dehydrating). Note: There are some types of bacteria which do not require oxygen to grow (anaerobic bacteria). One of these is the infamous bacteria Clostridium botulinum which is responsible for causing botulism. Until canning techniques were improved, botulism poisoning was common. Thus, it is very important that foods are heated adequately to kill any botulism bacteria during the canning process. Most micro-organisms reproduce best in warm environments. Refrigerating or freezing food is a good way to slow the growth of micro-organisms and keep the food fresh for longer. Refrigerating and freezing won’t kill micro-organisms though, they will reactivate once at a higher temperature. Enzymes are natural chemicals found in foods. Many enzymes are responsible for the ripening of fruits, which is why a green tomato can turn red even after it has been picked. In the presence of oxygen and moisture, enzymes will eventually cause food to spoil. The good thing is that enzymes can easily be destroyed by heat. Food preservation methods using heat prevent enzymes from causing food spoilage. Methods which limit air and water will prevent enzymes from working. Oxygen is crucial for most types of micro-organisms to survive and reproduce and is also crucial for enzyme reactions to occur, so limiting oxygen will preserve foods in these ways. However, oxygen on its own also causes foods to break down through the process of oxidation. Foods which are high in fats and fatty acids are particularly susceptible to oxidation. When the fats come in contact with oxygen, short chain carbon compounds are formed. These compounds have very acidic odors and a fishy smell. Bear in mind that lots of foods actually have a high fatty acid content. For example, brown rice spoils much faster than white rice because of the healthy oils in it. 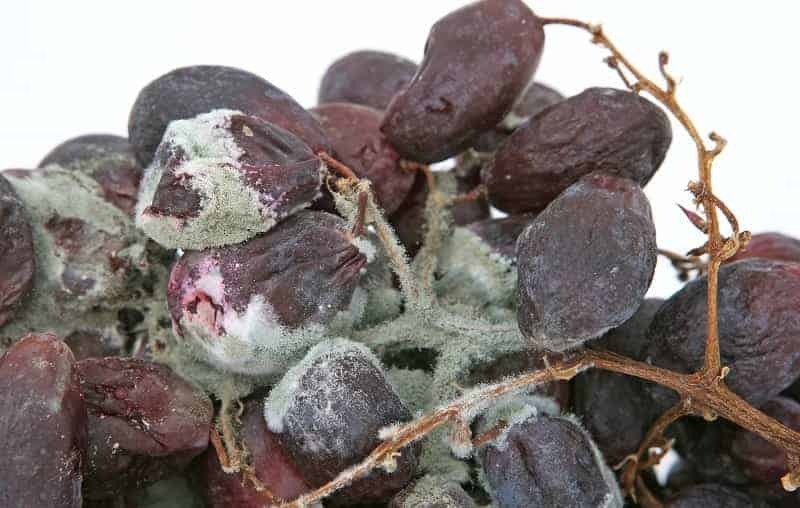 Pests don’t necessarily cause food spoilage. However, they can get into your food supplies and cause contamination. For example, a common problem with food stored in Mylar bags is that rats can chew through the bags. Viruses from the rats’ mouths can then get into the food. Since the bag is destroyed, the food is now exposed to air and micro-organisms will start to grow. Thus, it is very important for long-term food preservation that you choose containers which are impenetrable to pests. This is one aspect that a lot of people forget about. Even if your food is completely free of moisture and oxygen, it can still be damaged if it is exposed to light through photodegradation. Some parts of food are much more sensitive to photodegradation, such as fats, proteins, and vitamins. Exposure to light doesn’t necessarily mean the food will be unsafe to eat. However, the food can become discolored and lose much of its vitamin value. In order to preserve food, you have to inhibit the five causes of food spoilage. The best food preservation methods will protect against multiple causes. No method is perfect though, so methods are often combined together. Heat kills micro-organisms and enzymes which would lead to spoilage. Heat also removes the moisture that they would thrive on. By keeping microorganisms at a cool temperature, you reduce how quickly they replicate and food lasts longer. Many of the store-bought foods we eat are preserved with chemicals like Benzoates and nitrates. There are healthier, natural ways to do chemical preservation at home. These food preservation methods prevent enzyme reactions from occurring and/or micro-organism spoilage. They are usually unsuitable for long-term food storage. There is no one “best’ food preservation method to use. In fact, it is best to combine multiple methods in order to provide better protection against spoilage. However, coming from a “survivalist’s” perspective, we can rule some methods out. Freezing, for example, is susceptible to power outages unless you have a solar freezer. For these reasons, we’ve chosen to focus on the most popular at-home food preservation methods. It is best to learn several of these so you have multiple ways to preserve food. When you go to the supermarket, you find canned foods. The history of canned foods goes back to the 18th century when Emperor Napoleon of France was worried about keeping his soldiers fed. 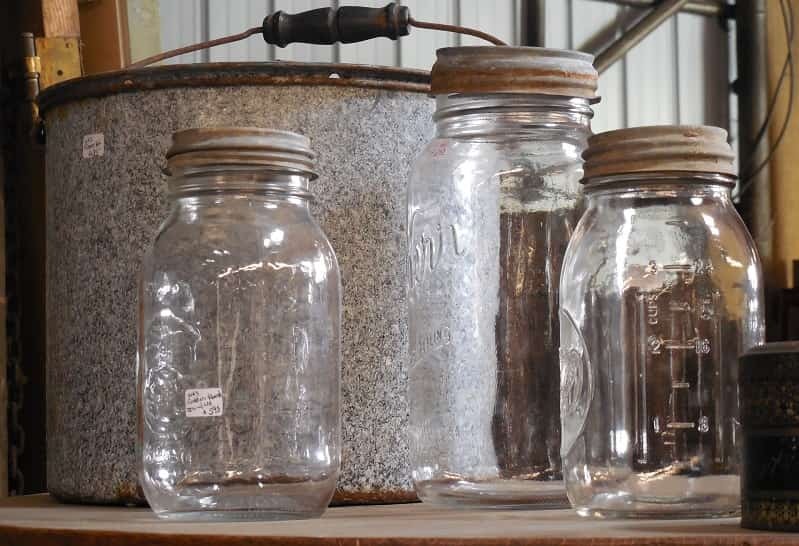 Since then, many farmers and homesteaders have stored their crops for the winter by canning. Once canned, foods can last for more than 5 years. There are several methods of canning. They all rely on making sure the canning jars are sterilized and the lids are sealed. Heat is applied to the food in the clean, sealed jar. The heat kills microorganisms that would cause spoilage, and removes air to create a seal. 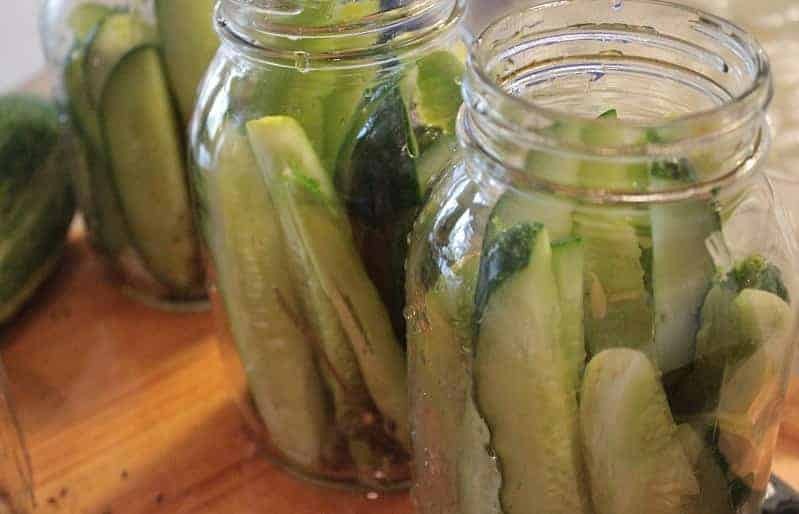 This is the easiest at-home canning method. You can buy special water bath canners, (Amazon Link) but you can also use a large cooking pot with a tight-fitting lid. The sterilized jars of food are submerged in boiling water and cooked for a shorter time at lower temperatures. This is the safest method for preserving meats and other low-acid foods (including many vegetables). Compared to the water bath method, the jars are cooked at a much higher temperature of 240 degrees F.
In order to get up to this temperature, pressure canners have special lids that trap steam. A vent in the lid releases pressure. Recommended pressure canner on Amazon. If you want to preserve foods in a metal can, you’ll need to have a commercial-grade canning machine that can be used with metal cans. You’ll also need a special can sealer or seamer. Until recently, these machines were too pricey for home use. However, prices have gone done drastically so this is becoming a more affordable option. 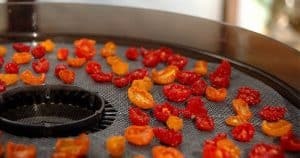 Dehydrating preserves food by removing the water from it. Without water, microorganisms and enzymes aren’t able to cause food spoilage. When combined with vacuum-packing to remove oxygen, dehydration is a great way to preserve food. 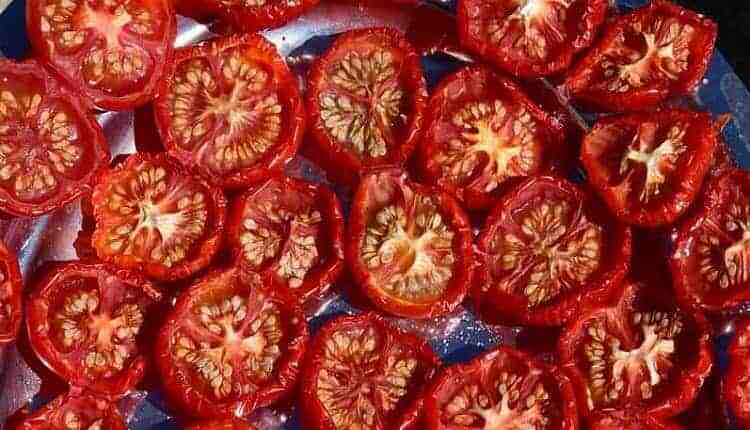 On its own though, dehydrated foods will only last for about a year. Insect larva love dried fruits too and, if you aren’t careful about how you package them, you’ll find insects in your food. NOTE: Special care needs to be taken with drying meats to make jerky. Meat needs to reach sufficient temperature to kill bacteria like salmonella. 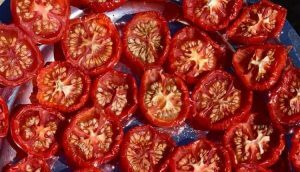 Home dehydrators are great for people starting out with food preservation. However, they have the serious drawback of not being able to hold much food at once. If you want to dry larger amounts of food without relying on huge amounts of electricity, you’ll need to build a solar dehydrator. Mother Earth News has solar food dehydrator plans. Traditional lacto-fermentation relies on “helpful” lacto bacillus bacteria which are naturally found on food. The food is mixed with a brine of salt and water. The salt helps draw sugars out of the food which the lacto bacteria then eat, producing lactic acid as a result. Harmful bacteria can’t survive in the anaerobic, acidic environment. The salt in fermentation also helps lower the oxygen amount, which furthers preservation. Best For: Fresh produce, though many cultures ferment meat and milk. Shelf Life: Approx 6-12 Months but many report ferments lasting 5+ years. Vacuum sealers work by removing air from the food packaging. Without oxygen, micro-organisms are unable to grow, enzyme actions are slowed, and oxidation is inhibited. All types of foods can be vacuum sealed. However, a vacuum sealer won’t remove water, nor will it kill any microorganisms. Thus, any vacuum sealed foods must be frozen, refrigerated or dehydrated to be preserved. Shelf Life: 5+ years when dehydrated. Oxygen absorbers are packets containing iron powder, salt and clay. The salt and the clay activate the iron, causing it to scavenge oxygen molecules. The packets are made in a way which allows the oxygen to enter but not exit. A lot of people confuse oxygen absorbers with vacuum sealing. Both methods preserve food by removing oxygen. However, oxygen absorbers are better suited for long-term food storage. The vacuum packing bags are fairly thin. Eventually they will lose their seal and allow oxygen to get into the pack. By contrast, the Mylar bags used with oxygen absorbers are designed to keep their seal much longer. Dehydrated and freeze-dried foods stored in Mylar bags with oxygen absorbers can last for 15+ years. Best For: Dehydrated and freeze-dried foods. Shelf Life:Up to 15 years. 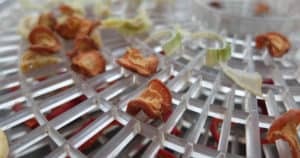 Freeze drying involves first freezing the foods and then drying them with a powerful vacuum. As the ice melts, it turns to vapor and evaporates. Once sealed in an oxygen-proof bag, freeze-dried foods are impervious to moisture and oxygen spoilage. This is how astronaut food is preserved. 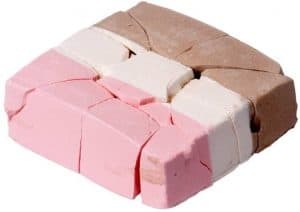 Even ice cream can be freeze dried. Compared to other home food preservation methods, freeze drying is fairly complicated. Until recently, the only way to do it was to buy a commercial freeze dryer. However you can now buy machines for home use. Read this post if you want to know more about freeze drying at home. 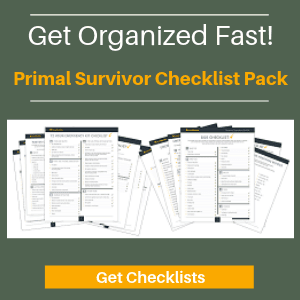 Obviously this is not an option for most​, however, some prepper groups or homesteaders go in together on the costs which could make it a viable option. Because freeze drying preserves nutrients and taste, and is suitable for long-term food storage, it is a worthwhile investment to those serious about food preservation. Best For: Fruits and vegetables but all foods (including meats, dairy, and full meals) can be freeze dried. Shelf Life: 2 to 20 years, depending on packaging. There are several ways to cure food, but they all utilize salt, nitrates, nitrites, or sugar to draw moisture out of the food through osmosis. Many curing processes also involve smoking. 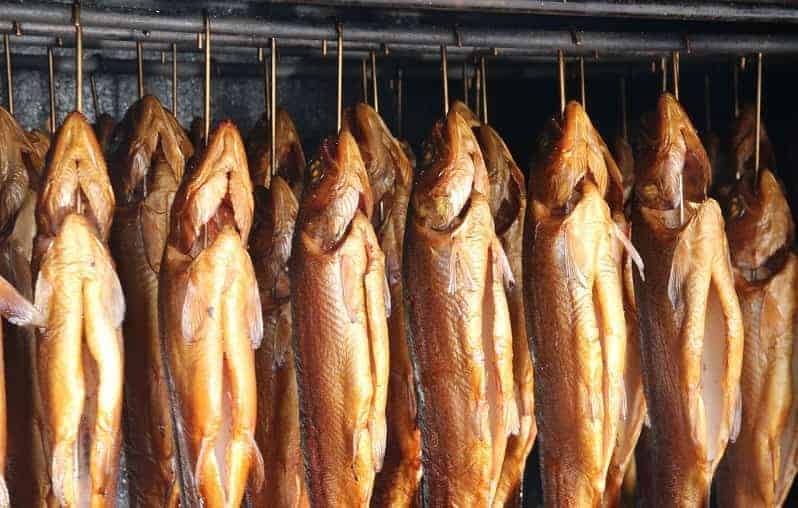 Smoke curing seals the outer layer of the food so it is harder for bacteria to enter. Sugar curing recipes are usually for bacon, ham, or other pork recipes. The meats are submerged in a sugar brine and stored at a very cold temperature. Afterwards, the meats can be hung in a smokehouse for further curing. You’ll need to build a smokehouse to cure meats this way. It isn’t as hard as most think to smoke cure meat. However, you do have to be careful to make sure the meat is at the proper temperature. You don’t want to get food poisoning from bacteria growth! The USDA recommends smoking at 145° F for 7 hours or 155° F for 4 hours. If you go over 155° F, the meat will get cooked instead of dried. Note that recommendations for smoking temperature vary. Some recommend temperatures as low as 125° F for 10 hours. Best For: Best For: Meats and fish. Shelf Life: Up to 4 years when stored in a cool, dry place. Foods like dry beans and grains can last for a very long time on their own. It might seem like no preservation is needed for these at all. Yet, this is not the case. 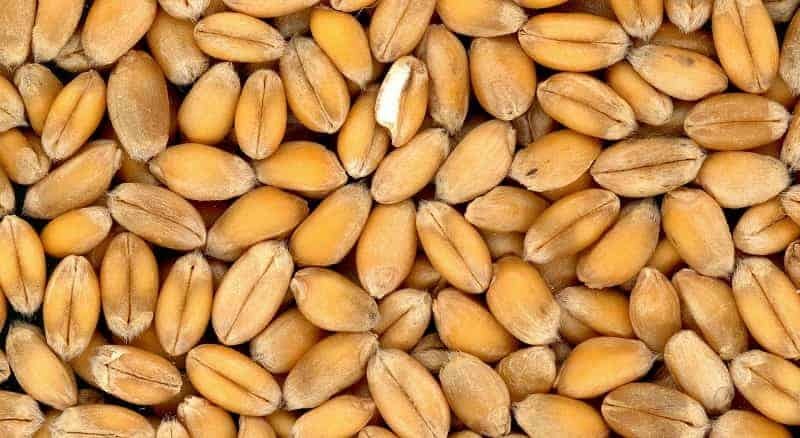 Dry foods are particularly susceptible to pests like moths. Even if you store your dry foods in sealed containers, you might still end up with an infestation. The reason is because there are already insect eggs in the food when you buy it. What happens is this: You buy dry foods and put them in a container for storage. The tiny insect eggs in the food start to hatch. Soon, you’ve got larvae munching the food in your containers. You might even see a bunch of moths fly out when you open the container! To prevent this, you must kill insects eggs before you store dry foods. According to Minnesota State University Extension, putting your bulk foods in the freezer for 4 days will kill any eggs. You can also microwave dry foods for 5 minutes to kill eggs. Once you’ve taken this step, most dry foods can last for years inside jars or plastic containers. If you take the extra step of vacuum sealing them or using oxygen absorbers, many dry foods can last up to 20 years. For short-term storage, the choice of storage containers isn’t as important. Once you start preserving food for longer periods of time though, it is very important that your food supply doesn’t succumb to pests, humidity, or damage from natural disasters. A lot of people store preserved foods in glass jars because they are cheap and can also be found for free. Small jars also make it convenient to rotate through your stockpile. The benefits stop there though. Glass jars are susceptible to breakage, such as if an earthquake were to hit. They also don’t hold much food. You’d need about 24 jars to hold 50 pounds of rice. There is also the issue of oxygen damage. When storing dehydrated and freeze-dried foods in glass jars, oxygen absorbers should be used. Just put one or two 100cc oxygen absorbers into a 32 ounce jar and screw on the lid. Within a half hour you should hear the lid plink sealed as the air is drawn out of it. A cheap alternative to glass jars is to use PETE (polyethylene terephthalate) plastic bottles. Compared to other types of plastic bottles, PETE bottles keep out moisture and air better. They can even be used with oxygen absorbers. Many supermarket foods are packaged in PETE bottles. These can be reused for your own food storage. Just look under the bottle to see whether it has a PETE or PET symbol. Some preppers swear that their food lasts for 10+ years in PETE bottles. A more realistic estimate is around two years. Standard preservation methods allow food to last approximately one year. When we talk long term food preservation, we are talking food that lasts for 5+ years. Many foods can even last 20+ years when properly preserved and stored. There is no shortage of companies selling emergency foods with long shelf lives. Buying these food buckets is a fast and easy way of getting prepped. Compared to junky non-perishable supermarket foods, the cost of emergency food in buckets is actually quite reasonable. If you choose to make your own long-term food stockpile, the cost is even lower and you’ll have many more options available. Emergency food companies sell virtually all kinds of food. However, those companies have access to very advanced machinery. At home, you might not be able to safely preserve the same foods. Foods that contain oils, fatty acids, or moisture are not suitable for long term preservation. For example, dehydrated fruits and vegetables must be dried to the point that they snap when broken. If they are still chewy, then the moisture in them will cause them to eventually spoil. Another example of an unsuitable food is brown rice. While white rice is perfectly suitable for long term storage, brown rice contains too many fatty acids which will cause it to spoil. 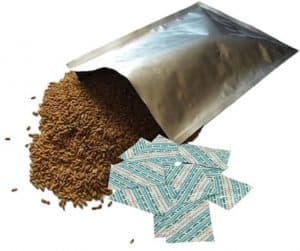 The most-accepted method of long-term food storage is to put dehydrated or freeze-dried foods into a Mylar bag with oxygen absorbers and then put these into a bucket. Mylar bags are made from a polyester resin. The material has revolutionized food storage because it is durable, lightweight, and doesn’t allow air or moisture through. When choosing Mylar bags, make sure you pay attention to the thickness. A thickness of at least 5.4 mil is recommended. The bags should have an aluminum core and be FDA/USDA food safe. How Much Food Per Bag? I prefer packing food in smaller Mylar bags. If I need to open a bag to use the food, I’d rather it be five pounds of rice instead of 50lbs. Standard Mylar bags hold one gallon of food. The weight per gallon varies depending on the food. The following gives you an idea of how many pounds food will fit in a one-gallon mylar bag. If you can afford it, buy an impulse sealer (Amazon Link) for your Mylar bags. This is the surest way to get an adequate seal. Many people get by using hair straighteners for sealing their Mylar food bags though. You just have to be very careful that you’ve made a full seal. This can be difficult with powdery products (such as dried milk) because they can get into the seal. Watch the video below for a demo. These will remove oxygen from the bag, creating an anaerobic environment to keep food safe. Oxygen absorbers are rated in cc’s depending on how much oxygen they can absorb. The amount of absorbers you need will depend on their rating, the size of the container, and how much oxygen is in the container. For example, bulky products like dried apple slices will have more air between them than small products like rice. Because of this, the following suggestions for how many oxygen absorbers are only guidelines. If you think your container has a lot of oxygen in it, you’ll need more absorbers. The moment you take the oxygen absorbers out of their packaging, they will start absorbing oxygen. So, you need to work quickly! You’ll be able to tell they are working because they’ll feel warm. It usually takes approximately four hours for an oxygen absorber to reach its maximum absorption. After that, they will be useless for preserving food. If you won’t be using all of the oxygen absorbers in your pack, have a mason jar nearby. Choose the smallest jar that will fit all of the unused oxygen absorbers. Take out the oxygen absorbers you need and put the rest into the jar immediately. Note: Don’t use oxygen absorbers with sugar or salt. You’ll end up with a rock-hard block that requires a pick axe to break up. Once your food is safely packed and sealed into Mylar bags with oxygen absorbers, the final step is to put the bags into a bucket. The bucket is absolutely crucial for long term food preservation because it protects against the elements and pests. Some people put dry foods (such as dry beans and lentils) directly into a bucket with oxygen absorbers, skipping the Mylar bag. This is NOT an acceptable method of long term food preservation! The seal will eventually break and allow air in.If you’ve skipped the Mylar bags, you’ll also have trouble using food from your buckets. Imagine that you open up a 5-gallon bucket of rice during a hurricane. That’s about 35 pounds of rice! You won’t be able to seal up the bucket again and all that extra rice will go to waste. For these reasons, it is really important that you put foods first into smaller Mylar bags and then into buckets. If you want to use some of the food from your buckets regularly, it is worth paying a bit extra for gamma seal lids. This system makes it easy to access the food but creates an air-tight seal when closed. These lids have special gaskets that go on the outer part of the bucket. There is a smaller lid which twists into it. If you don’t invest in these lids, at least make sure you buy a bucket opener. That $5 tool will save you a lot of grief when you need to open your buckets! When adequately dried and stored in Mylar bags with oxygen absorbers, foods can last a really long time. Here are some estimates on the shelf life of foods preserved this way. 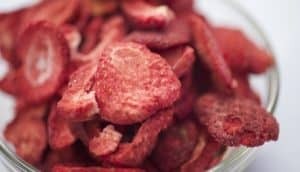 Freeze Drying Food at Home: How It Works and Is It Worth the Cost?